Technically I don't move into my apartment for another two-ish months, but I am still super excited about living in my first apartment. It's a little weird because I know I am going to live in my apartment at the most two years and maybe only one even since I am hoping to live in my sorority house at some point my junior and/or senior year. Because of the deadline for living in my apartment, I know I don't want to do too overboard with decorating because it's just going to be a pain to move in and out. With that being said, I, however, really want my upcoming apartment to feel more like home than my dorm ever did. I never felt like I truly settled into my dorm, which made freshman year a little bit harder for me. Luckily I have a while until I need to figure out everything for my apartment, so until then I get to play interior designer for a bit! 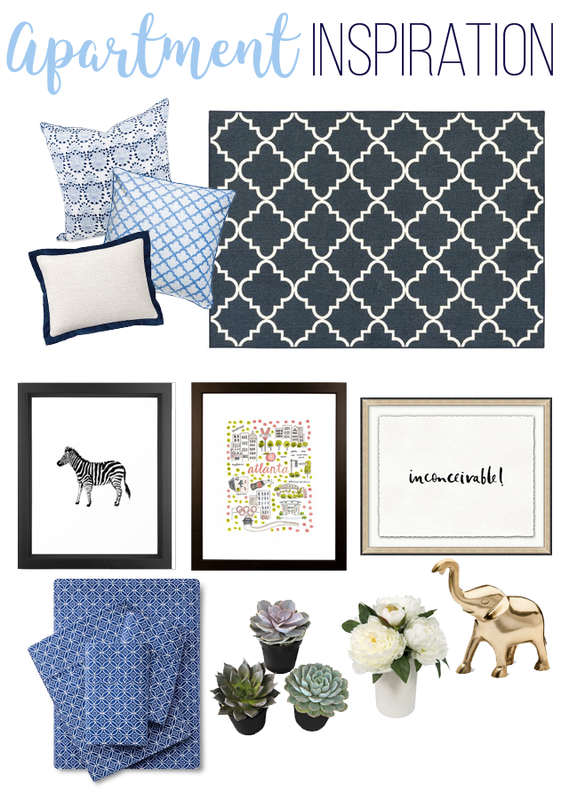 Today I am sharing some inspiration for my room, and maybe over the summer I will share some inspiration for our living room.